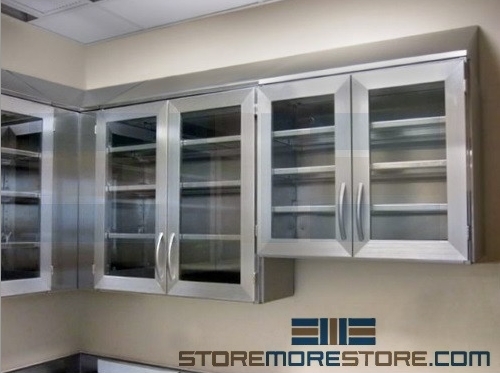 Stainless steel wall cabinets and worktables are now available for sterile storage, cleanrooms, and other environments that require a high level of cleanliness and corrosion resistance such as laboratories and healthcare facilities. Stainless steel is often used in these applications due to their ability to resist damage by harsh and hazardous chemicals and cleaning agents as well as rust, corrosion, and contamination. The stainless steel wall cabinets mount easily to the wall instead of taking up floor space, which provides an additional level of space savings. For example, you could mount the wall cabinets above the worktables for additional storage space and accessibility. 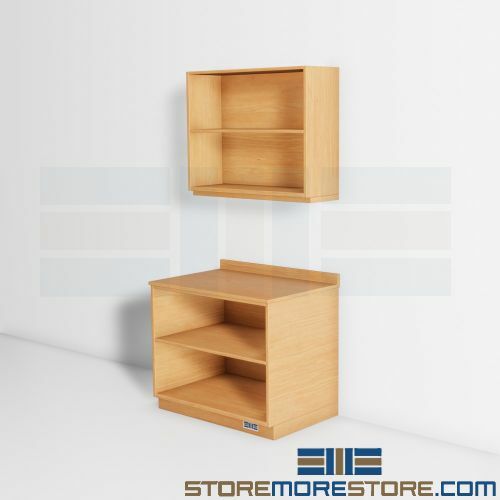 The cabinets are also shipped assembled with mounting and leveling instructions, making installation quick and easy. 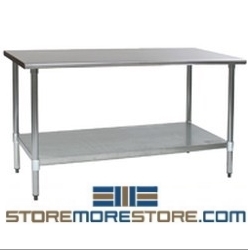 Stainless steel worktables are available in a variety of sizes with flat tops, galvanized legs, and an adjustable undershelf. Deluxe and budget series tables are available depending on your needs and price range. For personal and secure storage options, we also offer stainless steel lockers for use in hospitals, gyms, and other clean areas. 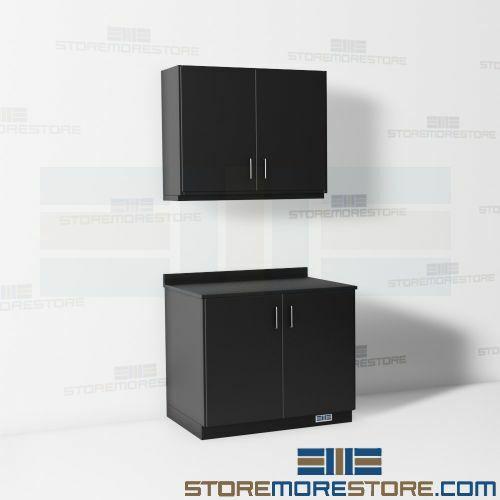 Stainless steel wall cabinets, worktables, and other stainless steel storage solutions are available to buy online at our store. For more information or additional assistance, give us a call at 1-855-786-7667.